Keio founder Yukichi Fukuzawa (1835-1901) was a young man at the time of the Meiji Restoration, which saw the end of nearly 300 years of national isolation and the start of a period of rapid political and cultural modernization for Japan. 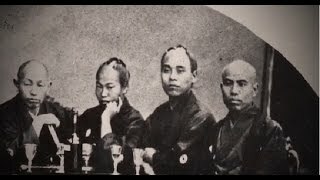 Keen to learn more about Western civilization, Fukuzawa made three trips to Europe and America, during which time he realized that Japan would require a new education system based on the European and American systems in order to remain independent in a quickly modernizing and volatile world. The school he founded was the origin of Keio. 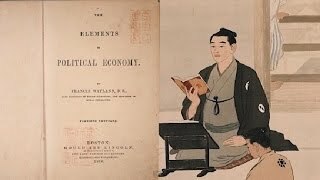 By actively embracing the scientific pursuit of knowledge against a background of tumultuous political and social change, Yukichi Fukuzawa played a major role in Japan as it roared through its late 19th-century period of modernization. His writings are widely and fondly read by both children and adults alike and his image now adorns the ten-thousand yen note, the largest denomination of Japanese currency. These words are from Yukichi Fukuzawa's first essay to the general public in 1872, and signaled the start of a new system of beliefs for the Japan of the time. Key among these tenets was the belief that all members of society are equal, and are entitled to equal opportunities in education so that the best and brightest, no matter what station in life they were born into, can assume positions of power and influence for the betterment of society as a whole. These beliefs represented the beginning of an end to the privilege and plutocracy of Japan at the time, giving hope to an entire country of citizens yearning for a new society where people would be judged entirely upon their merits rather than their caste or wealth. It was the beginning of modern Japan as we know it today. Yukichi Fukuzawa, who is most visible as the man portrayed on Japan's 10,000-yen note, is best known as one of modern Japan's first statesmen, a man responsible for introducing Western education, institutions, and social thought to Japan. He was born in Osaka in 1835, the second son of a minor treasury official representing his home domain of Nakatsu, a northern province of Kyushu, the southernmost of Japan's four main islands. Fukuzawa's father died suddenly when Yukichi was just a boy, and his family was reduced to poverty. He spent most of his youth doing odd jobs until money for his education became available when he was 14, ten years after the usual starting age. At school, Fukuzawa was a fast learner who excelled in virtually all subjects. The arrival of the United States fleet in the summer of 1853, when Yukichi was just 18 years old, had a profound effect on the direction of his life. He moved to Nagasaki, home to the Dutch trading enclave, and began to find ways to improve his understanding of things Western. It proved to be a futile effort, so he set off or Edo (now Tokyo) penniless, with only a dream of furthering his education. Japan finally opened three ports to Western traders in 1859. By this time, Fukuzawa was well-versed in Dutch, and was beginning to learn English, the language of the port city of Yokohama. He volunteered his services to the first government envoys dispatched to the United States, and in the spring of 1860, the 25-year-old Fukuzawa joined an entourage departing for San Francisco, where he spent a month before returning to Japan. Two years later, he departed for Europe, spending 44 days in England, 42 days in France, 20 days in Germany, 35 days in Holland, 20 days in Portugal, and finally 46 days in Russia. A year later, when he was just 30, Fukuzawa returned to Japan with an immense wealth of observations, knowledge, and books. It would be another four years before Fukuzawa would again travel abroad, this time returning to the United States in 1867, visiting Washington D.C., Philadelphia, and New York. Although sent as an envoy to negotiate on behalf of the Japanese government, his personal aim was to acquire textbooks to take back with him to Japan. Through his travels, Fukuzawa came to realize that technical progress had made Western countries more prosperous, and he started to believe that revolutionary changes in people's knowledge and thinking were essential for similar results in Japan. After his return from the United States, he set about creating his own school to teach others according to his beliefs and experiences. This was the birth of Keio Gijuku, the forerunner of Keio University. By 1867, some 100 students were enrolled in Keio Gijuku, with Fukuzawa lecturing primarily on political economy. Meanwhile, he was also authoring many significant books, with An Encouragement of Learning (Gakumon no Susume) the most celebrated. It was not long before he brought in professors from overseas, who provided students with an entirely new educational experience. Over the next two decades, Keio University assumed the posture that it maintains today. 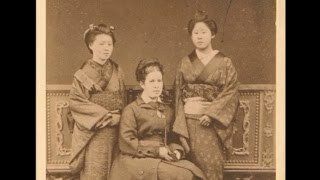 It was gradually opened to more and more private students who were the children of common folk, introducing mathematics, economics, medicine, and other subjects representing fields that made direct contributions to the progress Japan was making in catching up with the West. New concepts were being introduced by Keio University all the time, with Fukuzawa and his fellow colleagues coining new Japanese words to describe them in ways that could be understood by the average person. One significant example is the Japanese word enzetsu, which they created to describe the English word "speech." The art of debate and speech-making were alien to Japanese society at the time, but without them, Fukuzawa believed that the ultimate goal of democracy would be impossible. Another significant contribution Fukuzawa made during this time was the founding of the newspaper Jiji Shimpo (literally, "The Times") in 1883. Fukuzawa was a prolific writer and statesman during this period. His introduction of new ideas was far ahead of the times, and among his works are several writings advocating equality for women and the eradication of the last vestiges of polygamy. In 1896, just five years before his death, Fukuzawa spoke to a meeting of alumni and colleagues, giving what was to become known as his "Last Testament." He was already 61, quite an advanced age for Japanese of the time, and many of his colleagues and compatriots had already passed away. Reminiscing upon his life's work, the speech contained this powerful passage, which spells out the values that have symbolized Keio University in the past, and will continue to serve as a guide for the institution well into the future. "I shall never be satisfied to leave Keio Gijuku as a mere institution of learning; I aspire to make it the springhead of noble character and a model of intellect and virtue for the whole nation. In practice, this spirit shall be the foundation of each member's household, as well as of society and the nation. I do not wish this to end up as a subject of mere talk. It should inspire everyone in his daily behavior and make our school a model and leader of society. I am taking the opportunity of this gathering to express my thoughts. They are much like a last testament, and I entrust them to you."